I have had some great opportunities over the years to work with a few brands that have made such an impact on my family that we will forever be loyal to the brands because of it. I am beyond excited to share with all of you that two of those brands have teamed up to bring even more of their great products to consumers (and my obsessed family). Chicken Soup for the Soul and Zaycon Fresh are now working together to bring fresh, wholesome food in a much more simple way than traditional retail channels. A few years ago I was given the opportunity to pick up some A-M-A-Z-I-N-G quality chicken!! Since then, more than just my family was hooked! 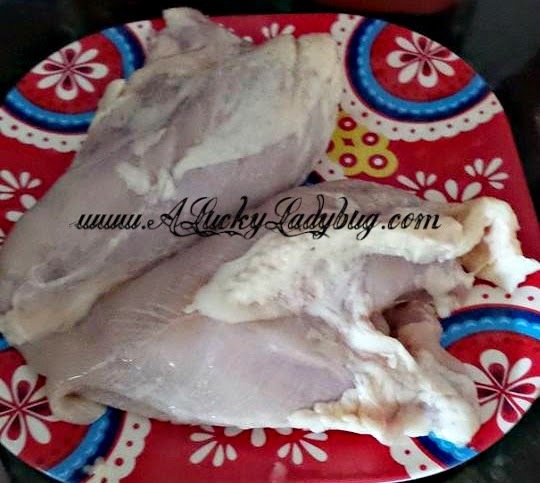 The size of the chicken breasts that I received were not only MASSIVE but very high quality, moist and cheaper than they would have been at the grocery store for a smaller and much less in quality product! If I had an additional freezer, I can tell you I would be buying more than just their chicken in bulk as we cannot keep enough of the meat stocked up in our house throughout the year. 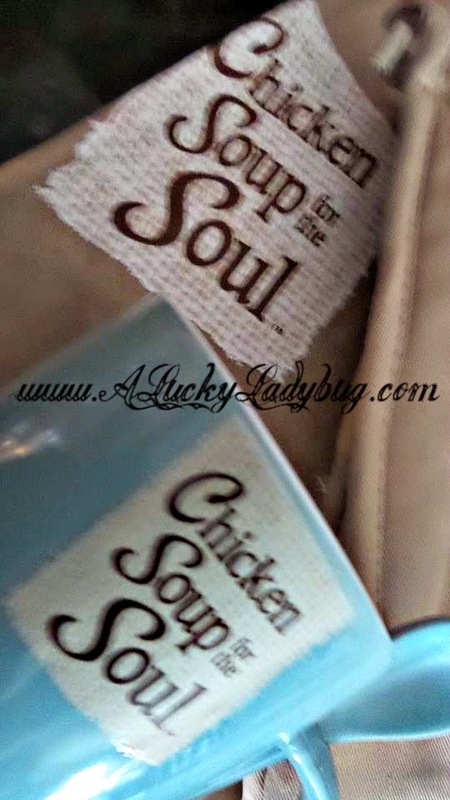 Speak of chicken and in bulk, the other brand I can always count on and now in more ways that one has been Chicken Soup for the Soul. Not only have I grown up reading the amazing stories and advice from Chicken Soup but it has made an impact on my life as an adult as well. With the addition of their food line, they have begun warming my families tummy too and not just our hearts. I was also given the opportunity to pick up 1 case of Zaycon Fresh chicken. Because we are already hooked on the quality, we ordered an additional case as well and again if I knew I had storage for additional meat, I would have gotten even more. Now with this partnership we can spend even more meaningful time together as a family. We are always encouraging family reading time with our kids after our family dinners. Eating our meals together is extremely important to me and my husband because of the diverse childhoods we grew up in. Creating my own recipes or following the suggested recipes on the Chicken Soup website we have been eating healthier and creatively together. Eating using the Zaycon Fresh chicken, I feel like we are truly eating gourmet at home! I cannot being to tell you how many meals we have had since picking up this meat and receiving our Chicken Soup for the Soul food package. 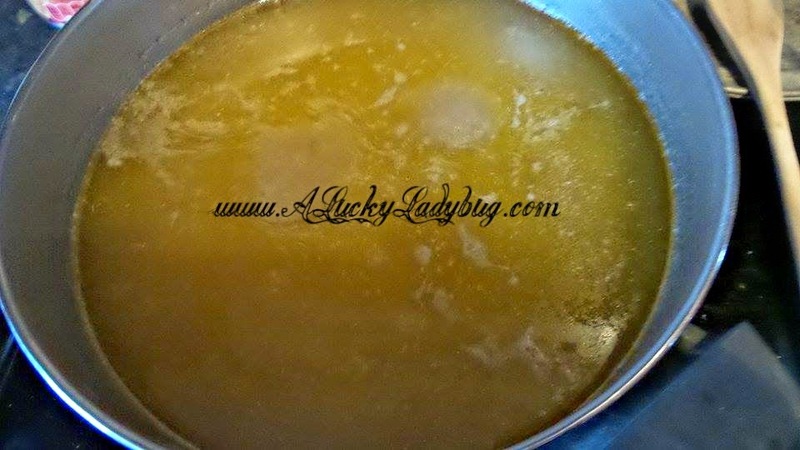 The Chicken Soup meal builders are our personal favorite although Kevin and the boys are constantly using the barbeque sauce for a variety of foods. Not only can you tell in the taste the quality of meat but you can see it when cooking! 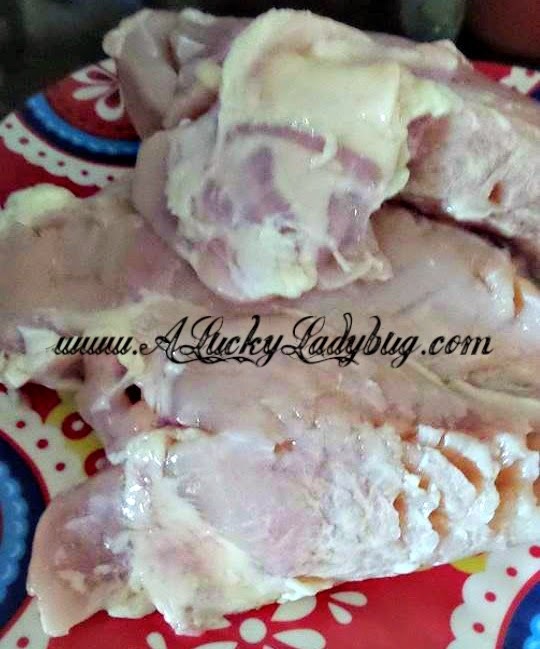 The chicken just remains amazingly moist and you never have to worry about fat or "other" pieces in these breasts! Recommendation: Cost wise you cannot go wrong with either of these brands! Quality wise, you'd be crazy to buy anything else EVEN if you haven't tried either. My only complaint/suggestion is the fact that you are going to need a place to store/freeze the Zaycon Fresh as it is a LOT. I actually spent four hours prepping and cutting it to freeze. 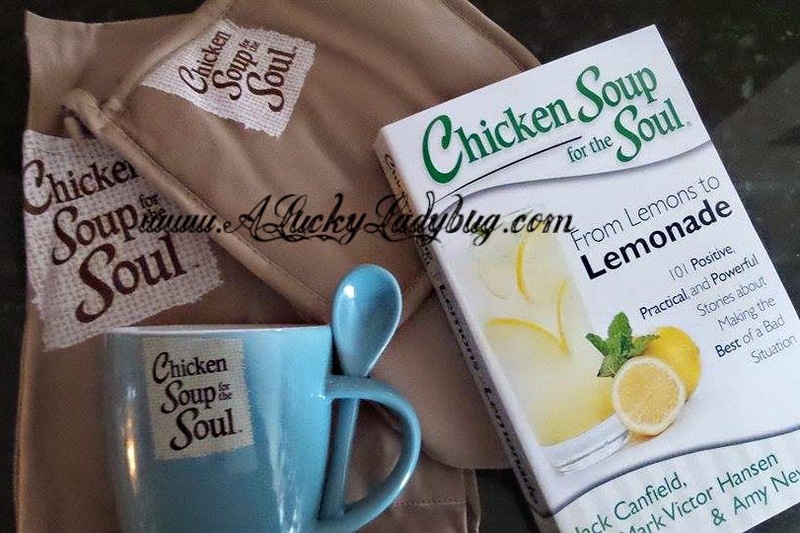 Giveaway: Chicken Soup for the Soul is going to give one of A Lucky Ladybug's lucky readers Chicken Soup for the Soul chicken broth and Chicken Soup for the Soul: From Lemons to Lemonade to try/read of their own! 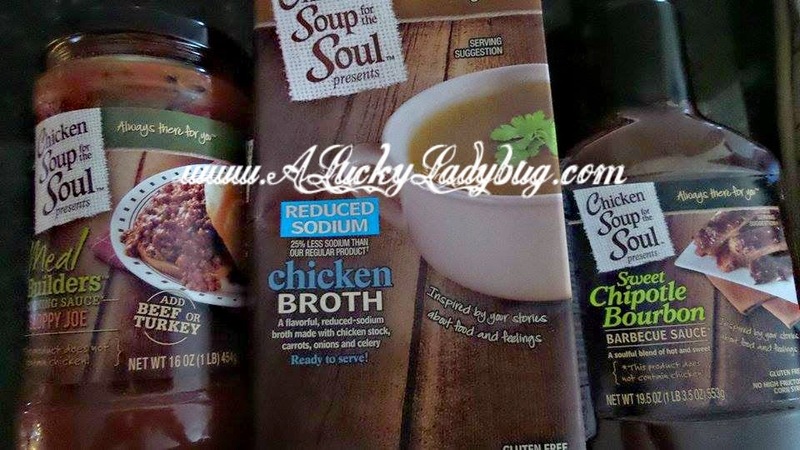 Chicken Soup for the Soul and Zaycon Foods provided me with complimentary products. The opinions I have expressed are my own. I WANT TO TRY IT ALL. HAVE SEEN MANY GREAT REVIEWS ABOUT THESE PRODUCTS. HAVE BEEN SAVING UP SO I CAN ORDER FROM THEM. THANKS FOR YOUR GREAT RECIPES AND FOR THE GIVEAWAYS. I've been buying their chicken for years. I LOVE it. We can one box and freeze the other, canned chicken is sooo good. I've been wanting to try their bacon and ground beef but it's a little too rich for my blood. :) Oh, their peaches are also FANTASTIC! I'd like to try their boneless chicken breasts and their Spices & Rubs. We love to grill, especially in the Spring and Summer, and I try to find unique spice rubs, marinades, etc for the meat we grill. My favorite thing to grill is bonelsss, skinless chicken breasts, as my husband and I are striving to eat leaner, healthier meals. I want to try the Premium Breaded Chicken Strips Fritters. Well these are three things that I would really enjoy eating fro their site; Wild Alaskan True Cod Fillets, Wild Sockeye Salmon Fillets, & Premium Catfish Fillets. I would cook them on the grill or broil them for dinner. I would like to try their Chicken Wings and their Buffalo BBQ Sauce. Sure they will be tasty right off of the BBQ. I always like more reviews and giveaways! But I do like your blog! I would love to try their Smoked Pulled Pork and Fresh Premium Hickory Smoked Bacon. Yum. I want to try their boneless chicken breasts. It's such a versatile dish that can be made a multitude of ways.